NEVER REPRESENTED the IRS & NEVER WILL! I am Ronald Arthur Stearns Sr., Attorney at Law.I represent and defend individuals and businesses throughout Texas, California & Hawaii in matters before the Internal Revenue Service and the United States Tax Court. I am Ronald Arthur Stearns Sr., Attorney at Law. I represent and defend individuals and businesses throughout Texas, California & Hawaii in matters before the Internal Revenue Service and the United States Tax Court. I am a graduate of the prestigious Northwestern University School of Law in Chicago. I am a proud veteran of the United States Marine Corps. I have almost 30 years of litigation experience representing individuals and businesses. I will put all of my experience and expertise toward solving your I.R.S. problems. I'm a local Austin, Texas Tax Attorney. I have three convenient office locations in central Texas. One of our offices is in downtown Austin, approximately three blocks from the State Capitol - across the street from the United States District Courthouse at Lavaca & 8th streets. Our North Austin location is in the ten-story Chase Bank Tower of the Hills (built by Lady-Bird Johnson over thirty years ago). This location is very convenient for Taxpayers residing or working in Austin, Georgetown, Round Rock, Pflugerville, Leander, Cedar Park, Liberty Hill and all other locations throughout the greater Austin area. The North Austin location is very accessibly located on the Highway 183 frontage road (Research Blvd.) -- one block south of Highway 620, five miles north of Mopac. Our San Antonio office is Located in the beautiful North Stone Oak Center Building just off North Loop 1604. This office is convenient for Taxpayers throughout Central Texas. Before you speak with the I.R.S., or permit an I.R.S. agent to interrogate you in your home or in your place of business, politely ask them to leave their business card and advise them that your attorney will be in contact with them. Then, immediately call my office to schedule a free 15-minute telephone interview. I can explain the reality of what you can expect from the I.R.S. I represent individual and business Taxpayers throughout Texas, California & Hawaii. We represent people and companies who, for one reason or another, were not able to follow all of the tax rules or to pay all of their taxes. Whatever your situation, I can help. Sometimes the I.R.S. actually WILL settle your tax obligations for a fraction of the tax you owe. The right facts and circumstances must exist and correct procedures must be followed for this opportunity to be available and successful. It also really helps to have a knowledgeable and driven Tax Lawyer to represent you. When engaged in a struggle with the Internal Revenue Service (I.R.S. – formerly known as the “Bureau of Internal Revenue”), you need a trusted, knowledgeable and persistent tax attorney --An attorney with an extensive knowledge of tax law and legal procedure, with a “never-surrender” attitude to defend you or your company. You can depend upon Attorney Ronald Arthur Stearns Sr. 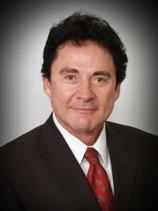 He has nearly 30 years' experience as a litigation attorney. If the I.R.S. has threatened collection action, or has decided to audit you or your company’s tax returns, Attorney Stearns will represent you throughout the entire procedure. Rarely would you ever have to appear before the I.R.S. yourself, or to speak with their agents at all. Attorney Stearns has extensive knowledge and experience in all contested tax proceedings. He will resolve cases involving unpaid income and employment taxes, unfiled tax returns and forced collection actions, including Tax Liens, Wage & Bank Levies and Levies against your Accounts Receivables. A substantial part of Attorney Stearns’ practice is defending Individuals & Companies against I.R.S. Audits and Examinations. It is not a good idea to attempt to defend yourself at an I.R.S. Audit, nor is it generally a good idea to have the person who prepared the tax return defend you or your company. Taxpayers Have Rights & it takes an experienced, intelligent and highly dedicated Tax Attorney to defend those rights. You or your company may be eligible for immediate tax relief. Contact Attorney Ronald Arthur Stearns Sr. at (512) 257-0570 or (210) 293-0033 today for details and a free 15-minute telephone conference to discuss your specific circumstances. Relief from Tax Returns filed against you by the I.R.S. Appeals of any adverse action by the I.R.S.